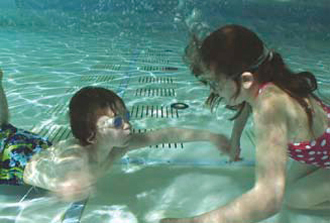 Charades under the water, a fun way to learn confidence under water, submersion and breath control. A great challenge for all ages. The message on this occasion was I love swimming. 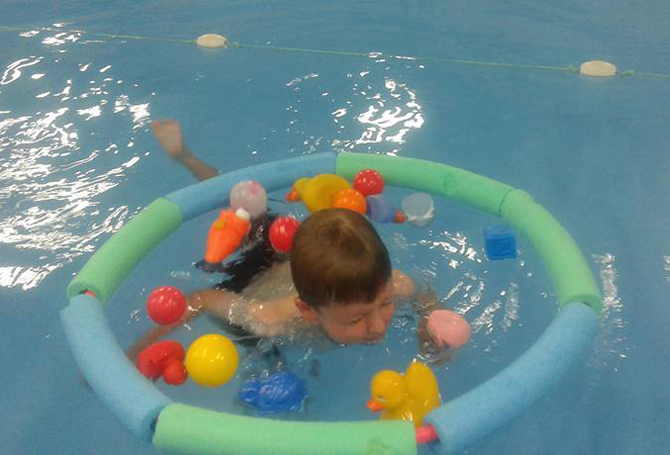 Encouraging your children to go under the water by creeping under a hoop into a group of toys can be a fun way to get them engaged. "Who can go under the hoop and pop up into the toys? Who can grab a blue ball and then creep back under the hoop to escape?" It is also a great way to teach your swimmers about spatial awareness and how they have to move their bodies to fit under the hoop without touching it. Spend time in the water and encourage fun play and bonding. Use a waterproof mirror or underwater camera to encourage children to open eyes and look down when preforming a starfish float. 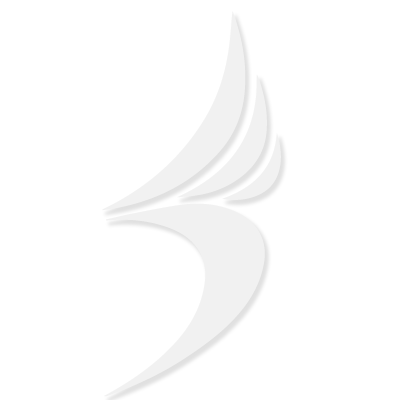 Humming – This will help prevent water from going up your nose as you submerge! Simply close your mouth, start humming and slowly sink beneath the water. Bubbles will come out of your nose! Great fun for the children to try. They are always surprised when they do this for the first time. 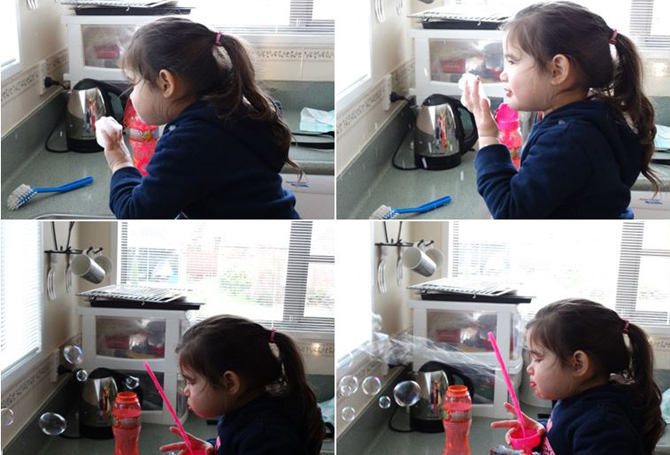 If bubbles are coming down your nose, water cannot go up so it’s a great little tool for beginners who are scared of water going up their noses. 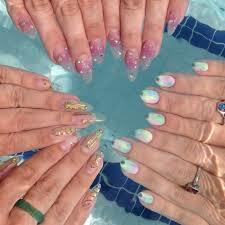 Encourage eyes open under water with or without goggles - swim teacher can paint each finger and toe nail a different bright colour and ask the child to go under the water and touch the relevant finger or toe of a colour. That way, the swim teacher knows he/she is opening their eyes! 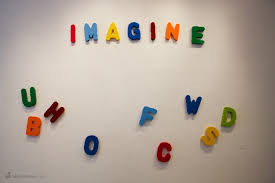 Use magnetic letters as sinking toys, if they don't sink as fast as you like - stick some blutack on them. 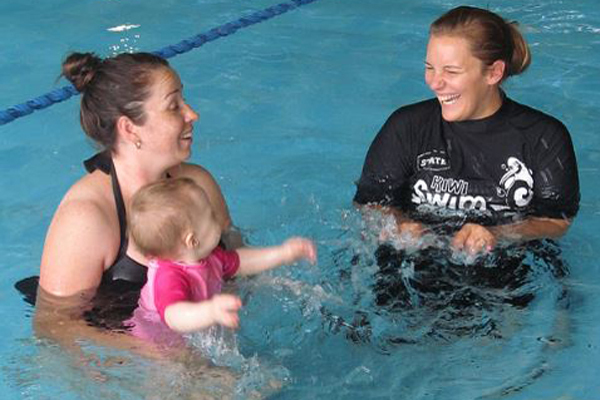 You can use colours, have team relays, spell words – there are so many options whilst learning activities such as submersion and breathe control. They are also a great bit of equipment to use on a forehead in back work. 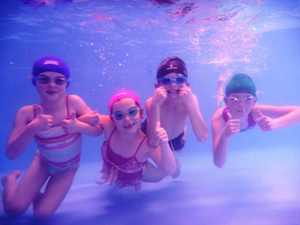 Use an underwater camera in your lesson. 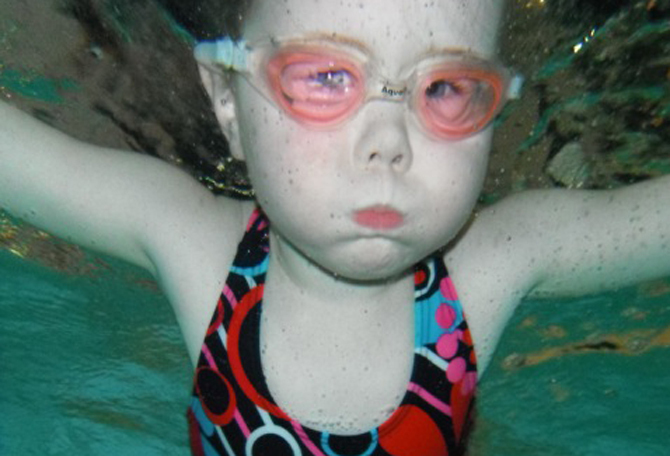 The swimmers go under and take each others picture of their funny face – great for submersion and breathe control.